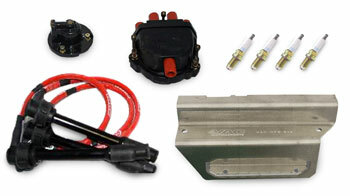 A very popular kit since introduction, we call this kit VAC "Stage 0" as its the starting point in refreshing your S14. While it is not intended to increase power output, 'VAC Stage 0' is the foundation for a strong and reliable S14, and can return double digit lost horsepower from age and mileage from worn components. None of these items should be overlooked and are important for a well sorted engine. This is a great tune up for every S14 owner. Since the E30 M3 is an expensive car to maintain, here is our way to say thank you for shopping with VAC, and pass on discount pricing to you. Helps alleviate the two most common problems on the S14 and saves you a ton by purchasing together! VAC - S14 Performance Ignition Wire Set (BMW S14) – Just our wire set by itself. VAC - Motorsports Oil Pan Baffle (BMW E30 M3, S14) – Just our Oil Pan Baffle. BMW - S14 Water Pump – The best!